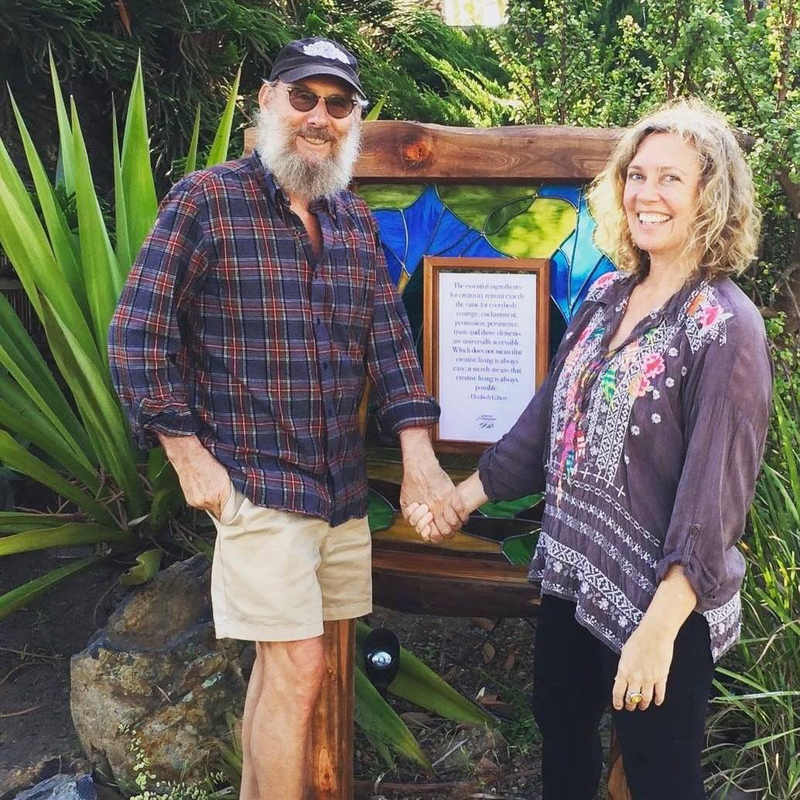 After the presidential election and the fear and hate mongering that had been weighing heavy on her heart, Melissa decided to defend hope and community by creating a little Poet Tree on our front corner. 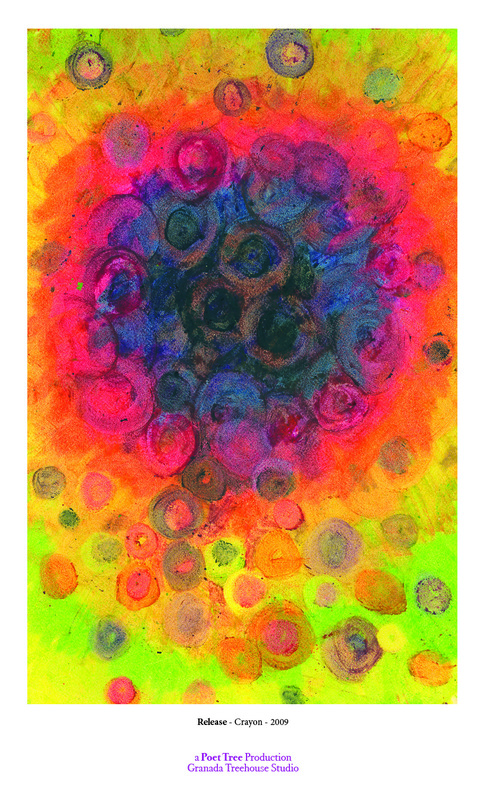 At the time our fig tree’s bare branches leafed with poems of joy, compassion, love, and life. 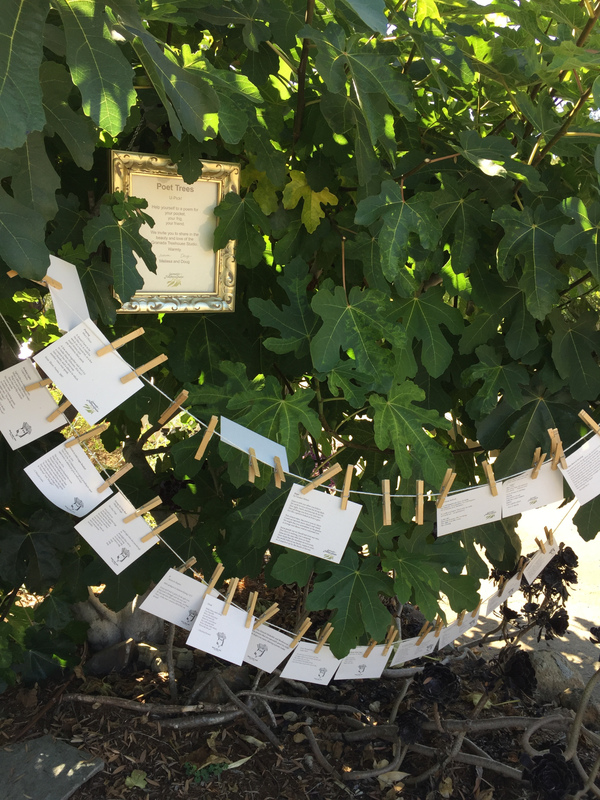 During the summer the fig tree unfurled its famous leaves fully, and we re-configured the poems as a garland. 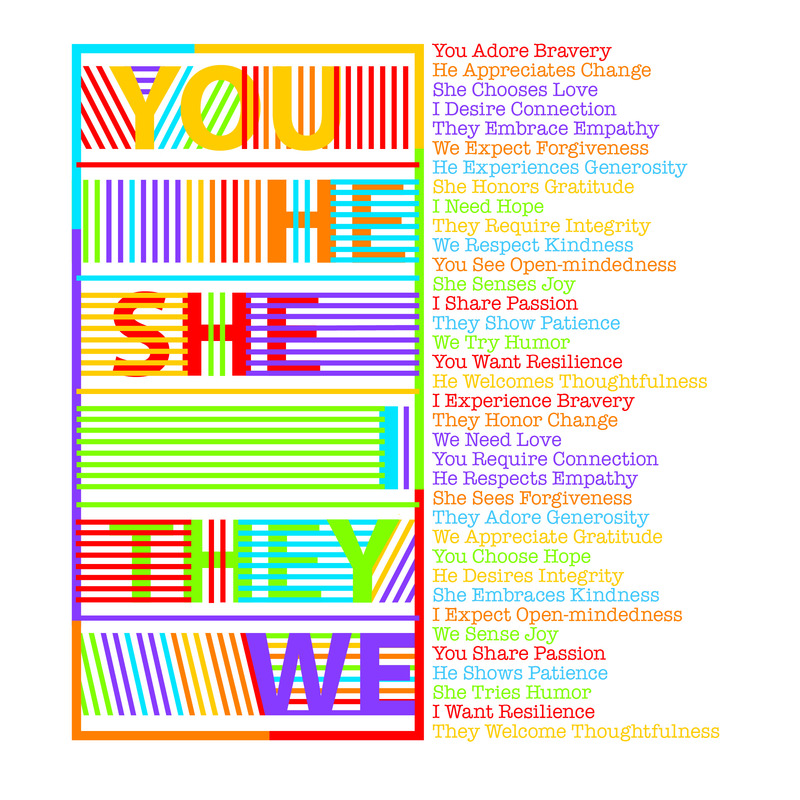 As Julia Alvarez explained in her author’s note at the end of her beautiful novel, In the Time of Butterflies, a novel about the freedom fighting Mirabal sisters in the Dominican Republic during the dictatorship of Trujillo – “Often when we read about brave women like the Mirabal sisters, we think that in order to advance the cause of freedom we have to do grand things. But in fact, if we look at the lives of these four sisters, we realize that all of them came to their courage in small incremental steps, little moments and challenges we all face very day of our lives. In some ways, we become brave, almost by accident. 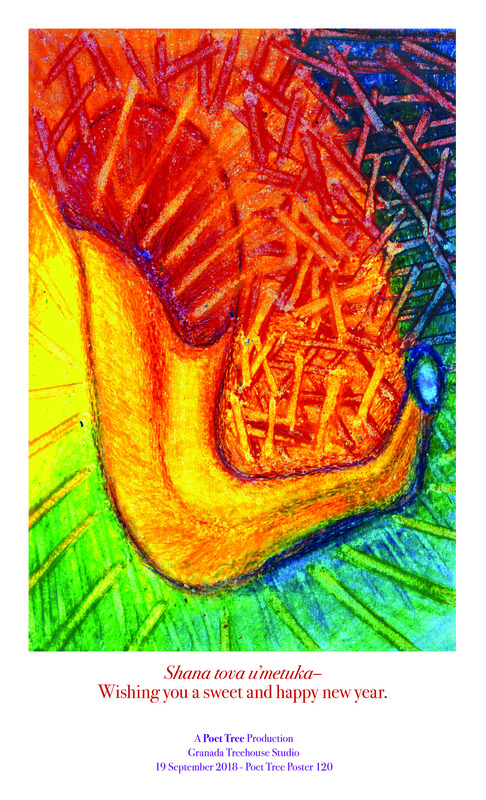 Something happens and we respond to that challenge courageously and compassionately. 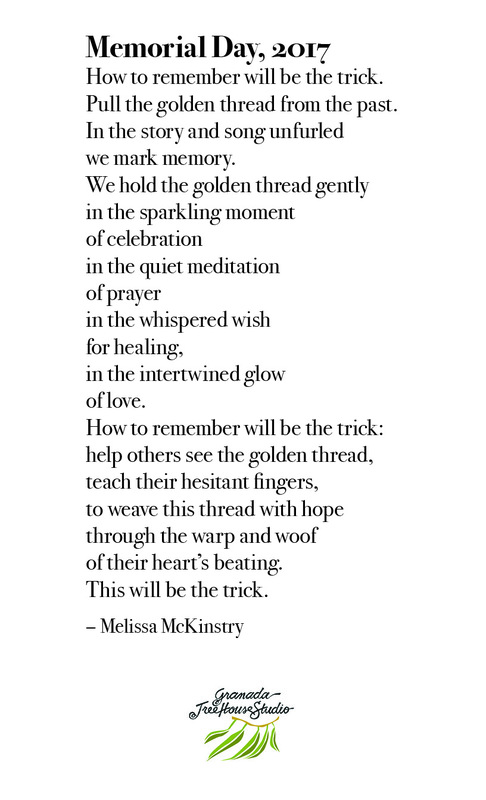 But really, all along the way to that something big happening, we’ve been cultivating a compassionate heart, a listening and big-hearted imagination. And one of the ways to cultivate such an elastic and inclusive imagination is by reading books." 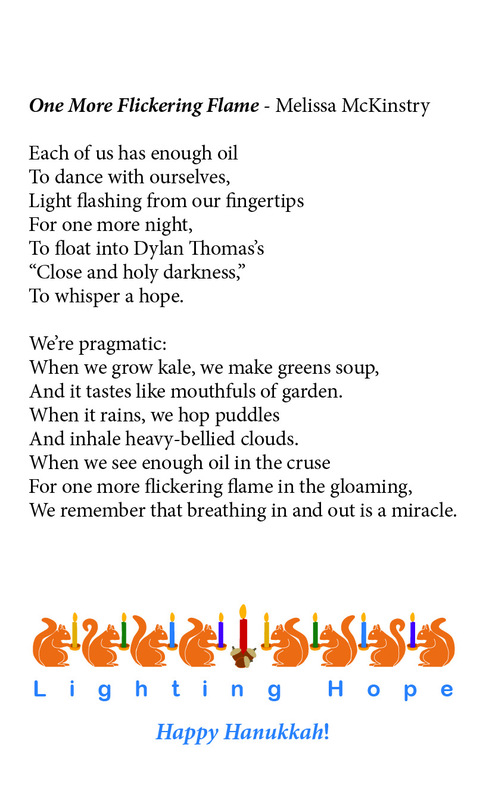 We hope that reading these poems helps us foster “elastic and inclusive imagination” and human connection. 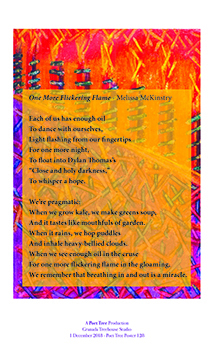 If you're in the area, please stop by for a "U-Pick" poem for your pocket, your frig, or a friend. Feel free to add your own poems and or art to the tree for others as well. 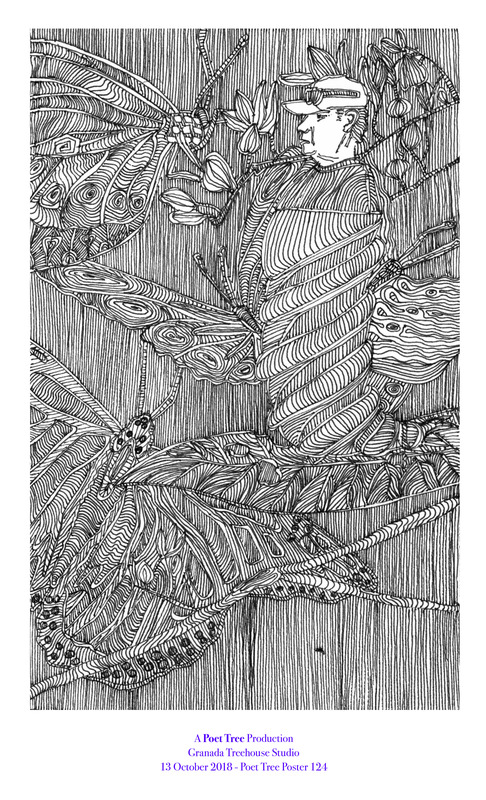 If you're not close to us and the Poet Tree, or even if you are, you may also want to see our blog, GranadaKitchenDance@WordPress, for "A Poem for the Week" posted from the tree. 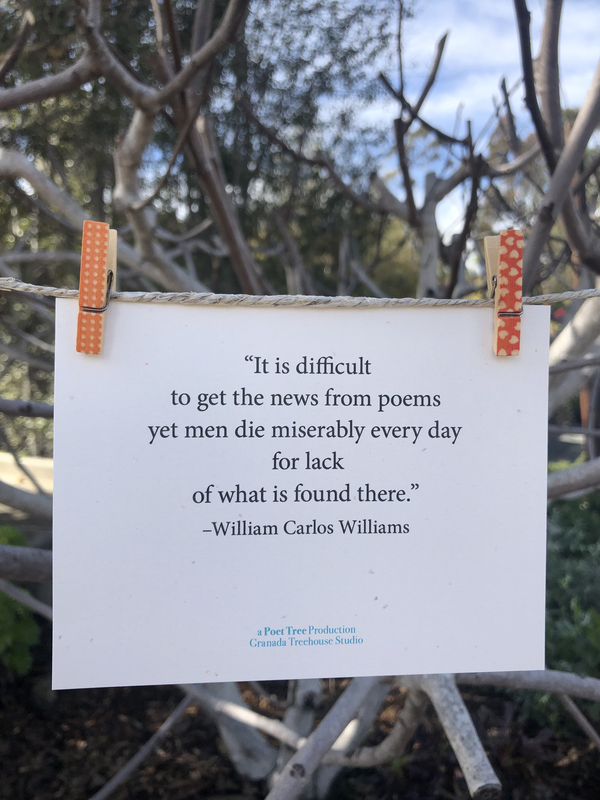 Our most recent Poet Tree installation, for March 2019, was titled "How are we to live? Redux." 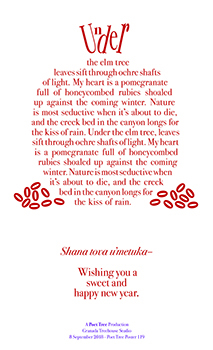 This is a theme we'd used to guide humanities curriculum we created for the San Diego Jewish Academy. 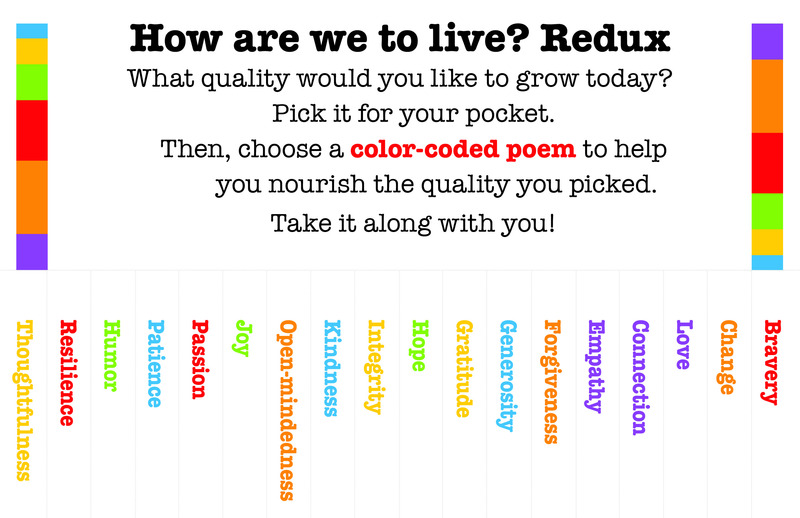 We brought the theme back to guide this project by inviting passersby to choose one of 18 qualities they would like to nourish and then choose a poem color-coded to that quality. In Judaism, the number 18 signifies life. 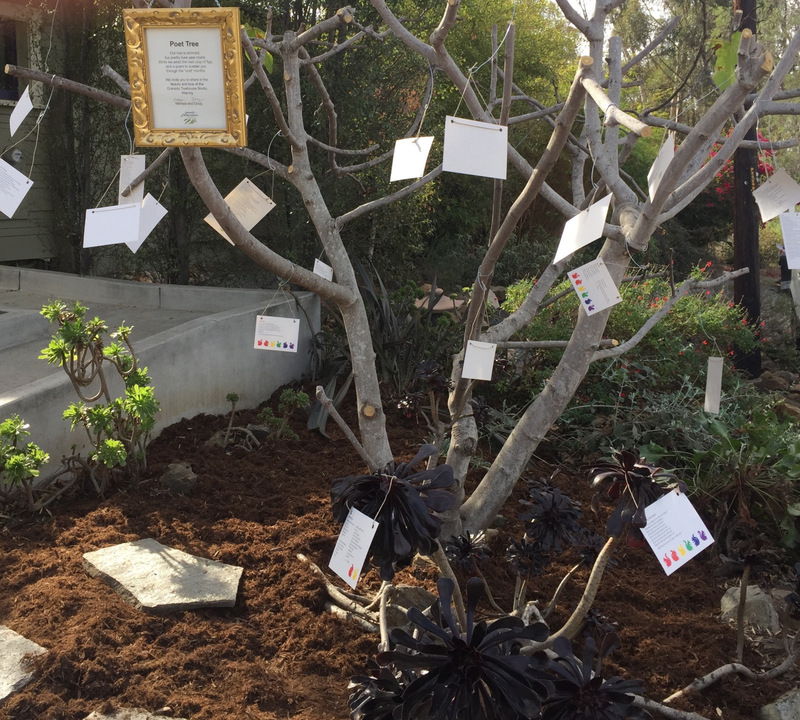 The Poet Tree started in November 2016 as a call for hope. 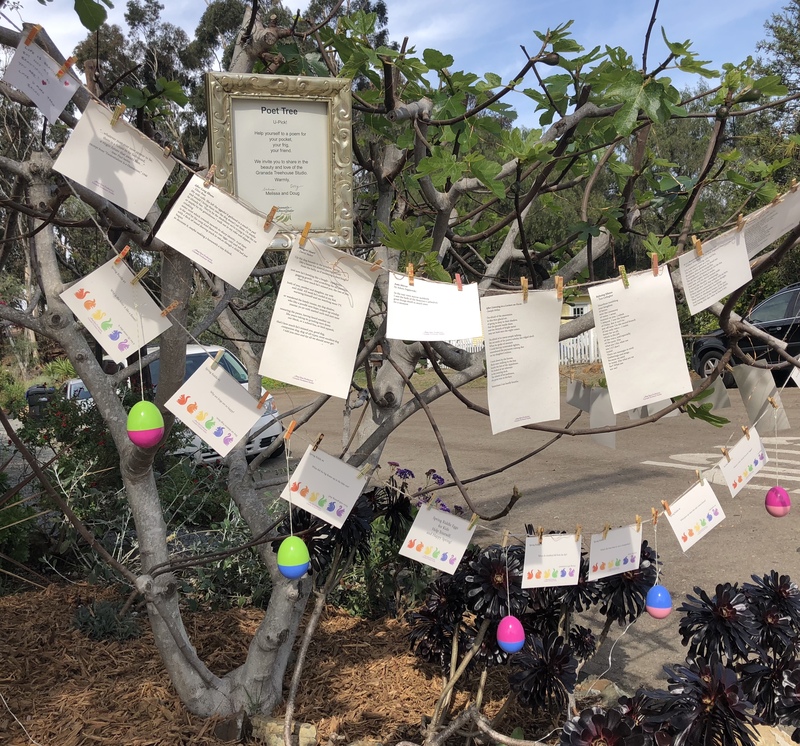 Hundreds of poems, quotes, and images have grown on the tree and invited many conversations and a nurturing of the "WE" that we believe to be so important today. As the Poet Laureate Natasha Trethewey said in her introduction to the Best American Poetry 2017, "We need poetry now more than ever." Along with poems and art on The Poet Tree, we have been posting poems and art in our GTS Installation. 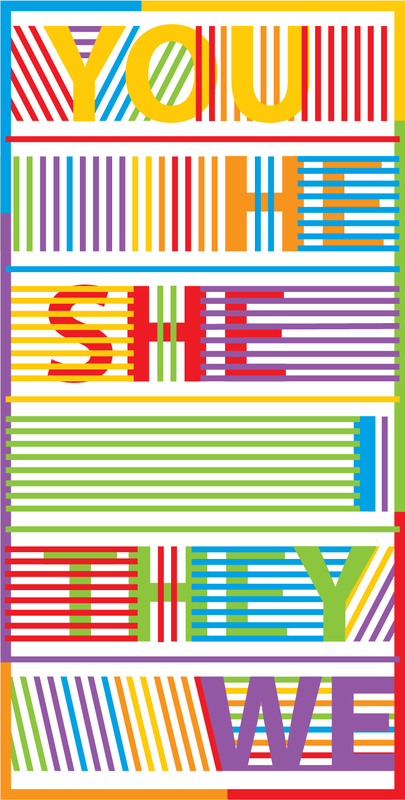 As of May 29, 2018, we have exhibited 100 pieces in the installation. 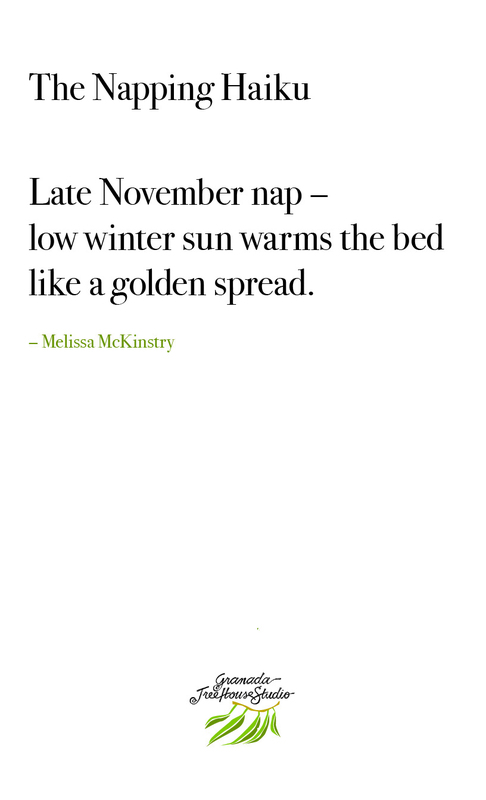 Melissa and Doug collaborated on the following. Enjoy!